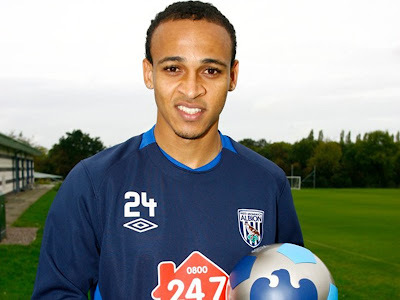 Nigeria’s Peter Osaze Odemwingie has sealed a £2.5million move to Premier League new boys Cardiff, having finally agreed a transfer away from West Brom. The wantaway striker’s fee is around £1m less than what West Brom wanted earlier this week, with the Nigerian signing a three-year deal. Osaze’s agent Rob Segal arrived in Cardiff to discuss personal terms as the player secured a transfer on deadline day – something he failed to do after his mad dash down to QPR in January. Stoke City were interested in the Albion outcast and, although the Potters were nervous about the signing because of his indiscipline last season, boss Mark Hughes wants him at the Britannia. With Osaze’s West Bromwich career over, a number of clubs were prepared to offer him a lifeline. But Cardiff boss Malky Mackay secured the striker’s signature from the hands of a host of competitors. The transfer has not been announced on the club’s website. Osaze has previously played for La Louviere, Lille, and Lokomotiv Moscow. The forward has made 55 appearances for Nigeria scoring nine times for the Super Eagles. The writer of this story must be out of his mind for calling thi gu an outcast. Ingrate idiot.